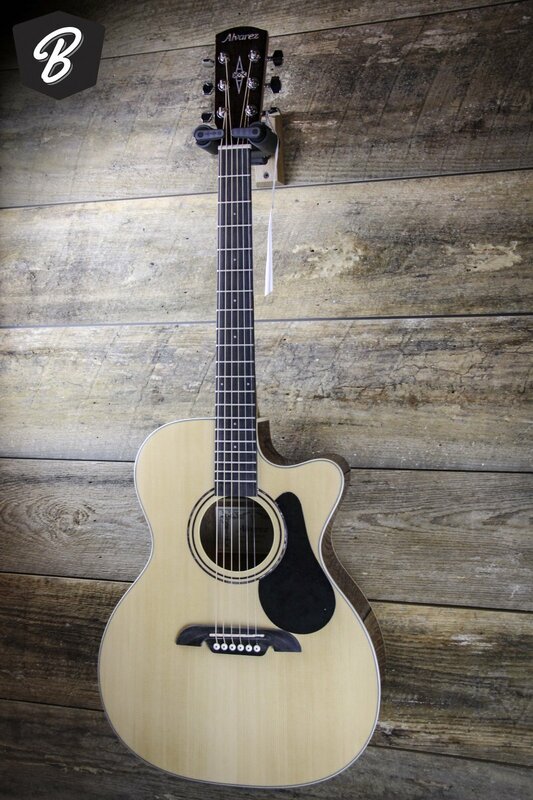 The Alvarez Regent Series is a high-quality entry-level guitar line designed to provide super value instruments with many features and specifications you find in pro-level Alvarez models. Components such as their bi-level rosewood bridge, scalloped bracing and PPS synthetic bone nut and saddle, work together to get the best tone and response possible. The sound of this RF26CE OM/Folk acoustic-electric is open and full, and has been made to respond well, making them rewarding to play. The Regent Series has also been designed with the student in mind and has a slightly slimmer neck profile and nut, making it very easy to hold and fret. Every Regent Series guitar comes with a deluxe, 15 mm DuoFoam padded gig bag.